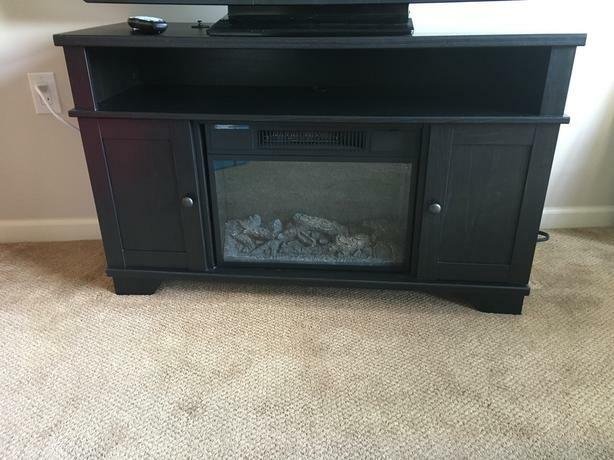 TV stand with electric fireplace heater less then 1 year old like new. Bought for $550. Yours for $225.00 Has a 50 inch flat screen TV on in it in Pictures. Please text or call to view. 1-250-216-1718. Langford. TV in Picture is also for sale $225.